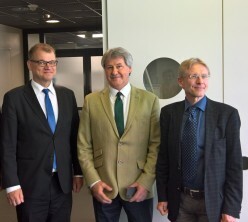 The Finnish Prime minister Juha Sipilä came to KCT during his Kuopio visit. We introduced him our research and gave him a facility tour. He was very impressed about them. We were delighted that he had time for us in his busy schedule. He wished good luck for us!